A woman is dynamic in the many roles she plays. If you are among our female readers with a website/blog/active social media accounts and looking to get a better response from your audience this article is for you. How to Use Graphics to Increase Response? We live in a visual world where using images is an assured way of boosting response. Before any word of text is even noted, the reader’s eyes would be dragged to the visual elements on the page. Understanding the influence of graphics on eye flow is very important. They play a significant role in directing reader’s attention to the most powerful message. Graphics design can be tricky and hiring a professional can be pricy. If you are not a graphic artist and can’t meet the expense of custom graphics for your website or blog consider using stock images for your design needs. We’ve put together a Girl Power collection of vector illustrations specific to such topics as motherhood, women’s health, family and education, pay equality and empowerment for women. We’ve put together a Girl Power collection of vector illustrations specific to such topics as motherhood, women’s health, family and education, pay equality and empowerment for women. Save money – buy stock! By using stock images you no longer have to spend hundreds on a professional designer you can get high-quality vector images at a pocket-friendly rate. Alex Belomlinsky an award-winning designer and illustrator has personally designed over 45,000 vector illustrations that load fast and are perfect for mobile use. 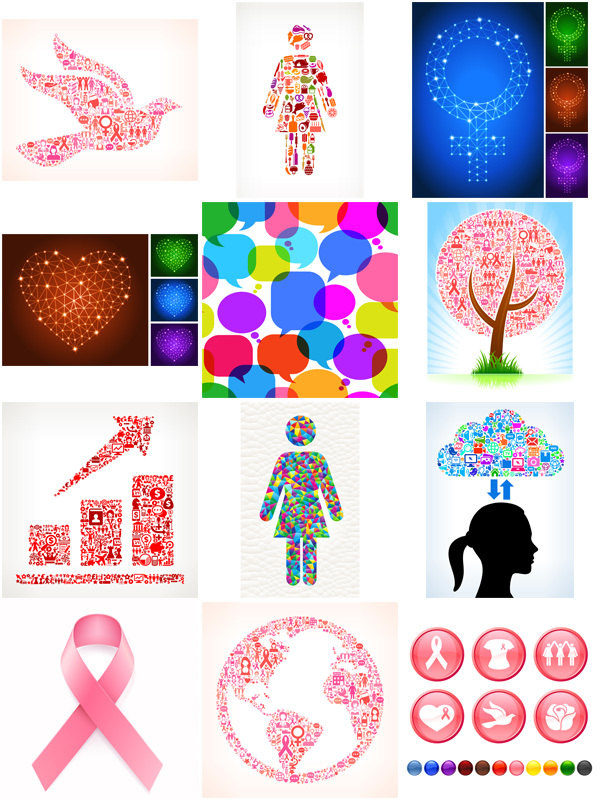 Choose from our Girl Power Lightbox or browse our entire collection of over 45000 royalty-free, high-quality graphics for personal or professional use. Choose our vector icons and illustrations, give your website a distinctive look and establish a lasting connection with your female readers. Why to Choose Images from our Collection? Adding relevant graphics to your website, blog and social media accounts is a guaranteed way to grab people’s attention. The advantages of using vector graphics is undeniable. Browse the finest and most comprehensive library of empowering images for women — royalty-free vectors from our Girl Power Lightbox!